Access the latest white papers, research, webcasts, case studies and more covering a wide range of topics. 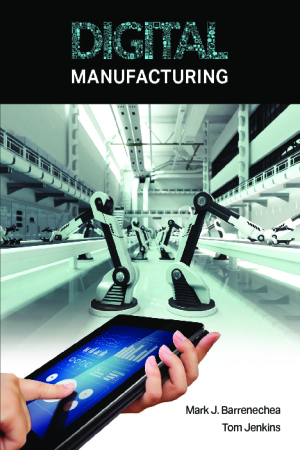 Read the Digital Manufacturing eBook to discover the 8 trending challenges for the factory of the future, 36 stories of innovation, 40 insights from executive of top manufacturing organizations and much more. 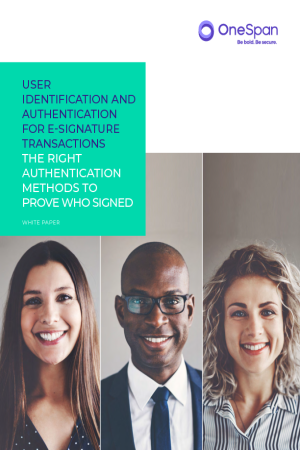 Authentication helps to ensure enforceability of the e-signed record and directly impacts customer experience. Executed well, user authentication builds trust and loyalty. Done poorly, it can lead to frustration and abandonment. Get an in-depth comparison of the costs and implementation models for the top-rated BI solutions. This practical guide helps buyers compare the cost factors and product limitations of the most popular BI software. With the number of phishing attacks at 1,220,523, a 65% increase over the previous year,1 it’s no wonder we find ourselves in a war against phishing. So, are organizations winning the war or just holding ground? The findings of our reports overwhelmingly suggest the latter. We are in the midst of a global shift from purely on-premises IT infrastructure to hybrid environments. Office 365 is dominating the cloud, yet its native security is lacking unified controls required to protect the billions of sensitive files that flow between internal storage and the cloud. Implementing the most efficient and effective digital supply chain has become a critical part of being a successful digital business. Without this capability, it is impossible to be a true digital business. Moving to a digital solution is essential to transforming your global supply chain. The benefits of completing this transformation are substantial and may give some organizations a competitive advantage. 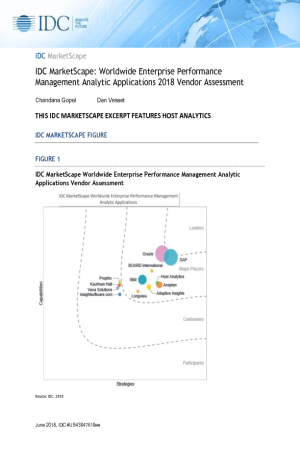 IDC Corporate publishes their report IDC MarketScape: Worldwide Enterprise Performance Management Analytic Applications 2018 Vendor Assessment, where Host Analytics is named a Major Player. Download the report to see their analysis of Host Analytics in the cloud EPM market.